D2 Pudge Wars is a remake of the Warcraft 3 custom map. 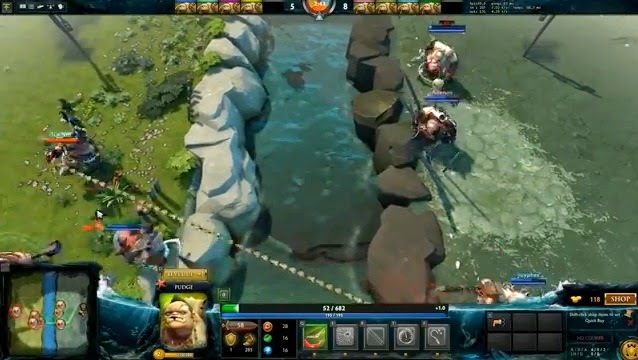 2 teams of Pudge players are divided by a river in a race to get 50 kills. Each player controls a Pudge that has an upgradeable Meat Hook ability. Players can upgrade the damage, radius, distance, and speed of their hooks as they level up. The first team to reach 50 kills wins. Coming soon to DOTA 2!